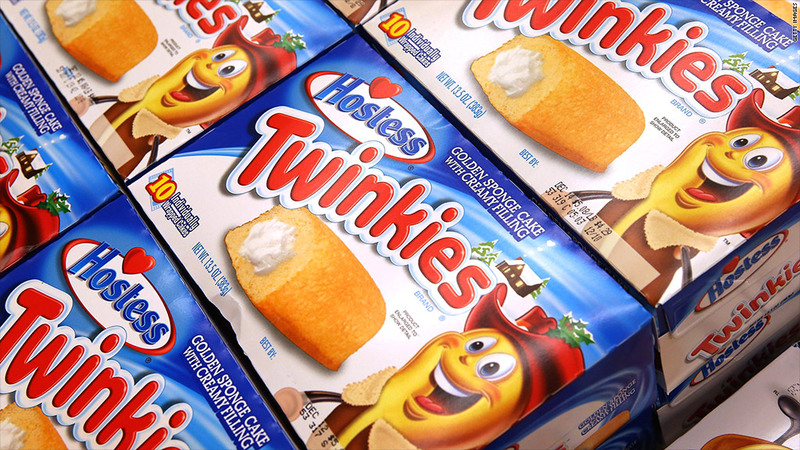 Hostess is close to tapping a preferred buyer for its iconic Twinkies brand. Hostess Brands is close to picking a preferred buyer for its iconic Twinkies brand, a move that would be a key step in the eventual return of the snack cake to grocery shelves. A source familiar with negotiations says that two private-equity firms, Apollo Global Management (APO) and C. Dean Metropoulos & Co., are the likely winners of this round of negotiations to buy Twinkies. "It's likely," said the source. "It's moving very fast." A spokesman for Apollo said he had no comment on the report. Metropoulos could not be reached for comment. The firm's food holdings include Pabst Blue Ribbon beer, and in the past have included Chef Boyardee canned pasta, Bumble Bee seafood, PAM cooking spray and Gulden's Mustard, all of which it eventually sold to ConAgra Foods Inc (CAG). Any agreement to sell would be subject to approval of the federal bankruptcy court that is overseeing the liquidation of Hostess' assets. Other bidders could emerge to try to top the offer made by whatever bidder is identified by Hostess. Hostess has already named lead bidders for some of its other brands. On Monday, McKee Foods Corp., agreed to pay $27.5 million for the Drake's brand and some of its equipment. Drake's products include Ring Dings, Yodels, Devil Dogs and Yankee Doodles, as well as its coffee cake. McKee, a privately held family-run company, is best known for its Little Debbie brand of snacks. Earlier this month, Flowers Foods (FLO) announced an agreement to buy six of Hostess' bread brands -- including Wonder, Nature's Pride and Beefsteak -- for a total of $390 million in two separate transactions. Flowers Foods' top brands include Nature's Own and Tastykake. Hostess announced in November that it was shutting down following a bakers' union strike. The closing of the company put about 15,000 of Hostess' 18,500 workers out of work immediately. Others stayed on to help wind down the company's operations. The demise of Hostess led fans of many of the company's products to quickly scoop them up at grocery stores, as consumers feared that they would never be able to purchase them again. However, it was always widely expected that Hostess would be able to sell its most popular brands to other food makers through the liquidation process.